Co-working spaces are growing in popularity, especially in city centres. 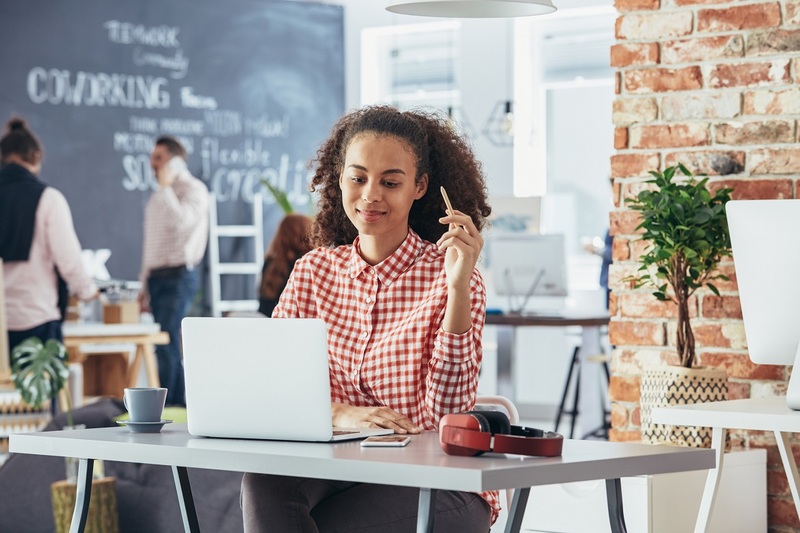 They involve a variety of small businesses, freelancers and remote workers all working from the same office space.Often, they are themed around certain industries, such as technology or the arts, but can also work for different businesses in a similar geographic location. Working in a co-working space can be like a constant networking event with new people from across your sector coming in all the time. This means you can share ideas, learning from other companies and always be on the pulse as to what’s going on. While some companies might balk at the thought of sharing ideas with potential competitors, often those working in your shared space won’t be direct competitors, but more likely other companies from a different part of your sector. For example, you could be working in coding, while on the next desk is a graphic designer. Knowing what they know and how they work could be vital for growing your business. As many of the people working in such spaces are freelancers and start-ups, they are very passionate about what they do as they’ve chosen to start up by themselves in that sector. This means you’ll be surrounded not just by passionate people, but also people who aren’t looking to get one over on you so they can get a pay rise or promotion. This gives you the chance to become the office expert in your field. You could offer other companies advice on what you do and ways of working, giving you a feeling of usefulness and pride in your work. The social side of work is a vital – and often under-appreciated – part of your working life. Many freelancers and start-ups that work from home can miss out on this side of life. Moving into a co-working space means you can organise social events with those you share the office with – from after work drinks to themed office days and charity fundraising. Finally, there’s flexibility that comes with co-working spaces. As you’re not tied to long-term contracts you can use them when you need them and leave when you don’t. If you need to expand quickly, just rent a few more desks – most of the equipment you need will probably be provided as well so you’re not paying for things that you might only need for a few months. And many co-working spaces are accessible all day, every day. This means you’re not bound by 9 to 5 hours, but can come and go as you please. They will also be fitted with a variety of rooms, so you can find a quite spot for some focussed work or relaxed seating for meetings and break away sessions. This entry was posted in Blog on 18th July 2017 by Julie Tucker.